Cloud has photographed the demise and resurrection of several train stations in Oklahoma. Pictured are photos of the Bristow train station before, during and after its renovation. Photos by Cecil Cloud. Tragedy catalyzed Cecil Cloud’s photographic quest. Technology – and his own drive – kept it going. 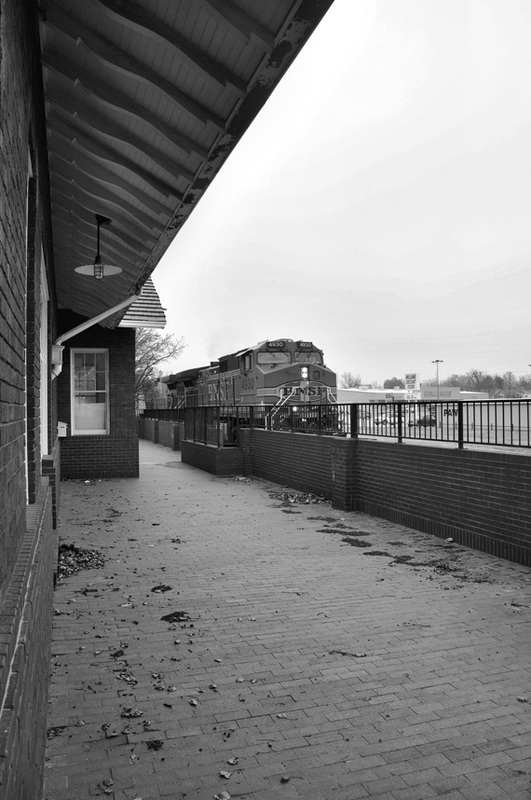 The result is Oklahoma Stations: Work in Progress, an exhibition offering 17 black-and-white images of surviving state railroad stations selected from more than 5,000, all taken by Cloud over the past few years. 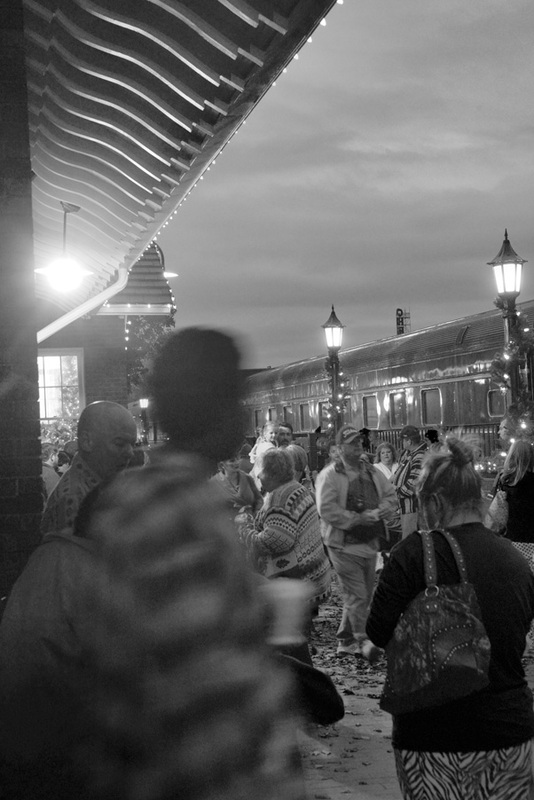 Opening Feb. 12 at Tulsa’s Coffee House on Cherry Street, the exhibition represents not only a proposed book – hence the name – but also the photographer’s near-lifelong fascination with trains and their Oklahoma stopovers. So, of course, the elder Cloud and his young passenger would often end up at the train station in their hometown of Sapulpa. In 1963, however, with rail service drastically diminished, the whole building fell to the wrecking ball. “I was one indignant 4-year-old,” Cloud recalls. 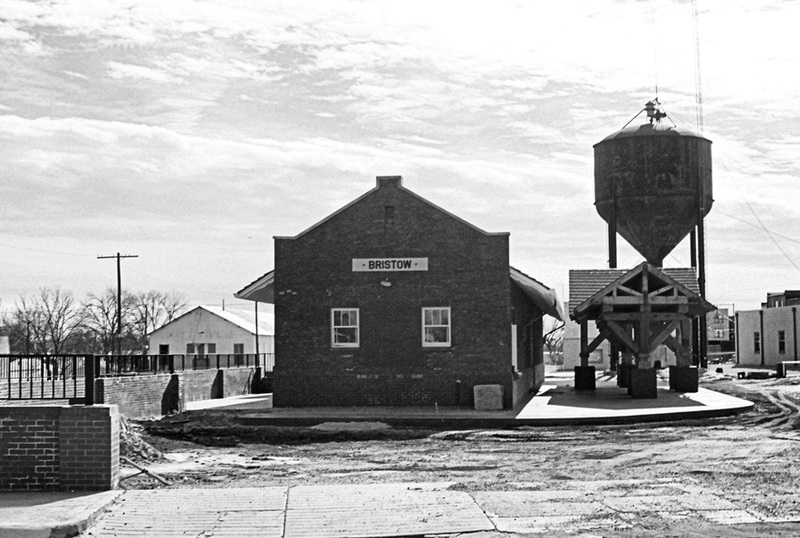 Perhaps seeing his favorite place in town demolished ultimately led him to try to save Oklahoma’s railroad stations, if only by capturing their images for others to see. 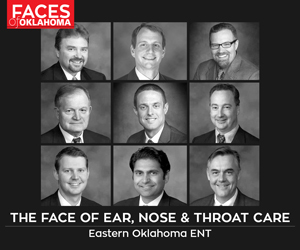 But while his love of trains and the railroad culture persisted throughout his youth and into adulthood, Cloud didn’t make a real commitment to the Oklahoma Stations endeavor for several decades. And during those dozens of years, many more stations throughout the state were torn down, abandoned or turned into something other than depots. Then came the tragedy that led him to really begin working on the project. 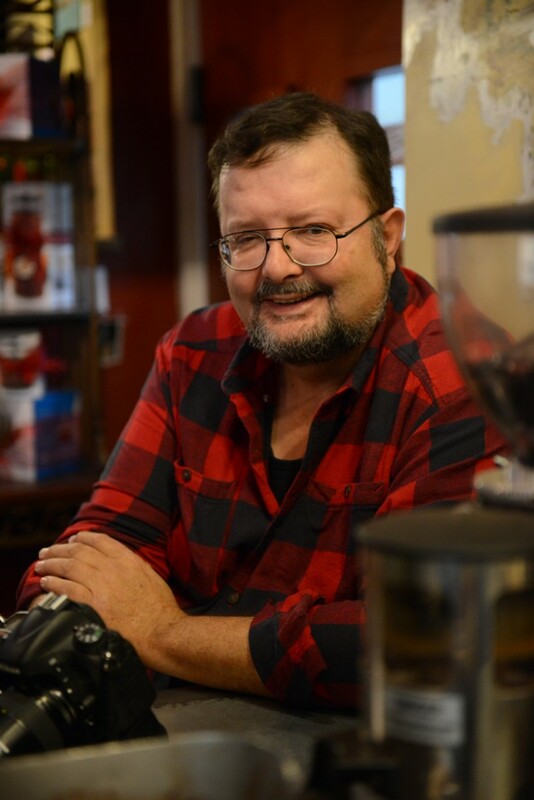 “Five years ago, a friend of mine was out riding his bicycle between Shawnee and Seminole when he was struck and killed by a gentleman who had looked down to check a text on his cell phone,” Cloud explains. “My friend’s funeral was held in Shawnee, which is the home of one of the most beautiful and unique station buildings we have. It looks like a little castle. I knew that I would need something to occupy myself in the afternoon following the funeral, and I realized there was a group of about five little stations near the route I would take to and from the funeral. By that time, also, the advance of Internet technology had made it much easier for Cloud to find the structures he wanted to photograph. Since then, he adds, his quest has been aided by both the archives of the Oklahoma Historical Society and the virtual-map program Google Earth. Many, unfortunately, have barely left a trace at all. The exhibit’s promotional material indicates that there were more than 1,000 railroad-station buildings in Oklahoma in 1938, when rail service was at its peak in the state. Now, Cloud believes there are only 154. He feels that he’s got all but 20 of those captured on film – and, as visitors to the exhibition can see, many are in pretty sad shape. “This is an era of our history, a face of our state that’s dwindling, declining, disappearing,” he says. “I’m trying to preserve as much of it as I can. One of my regrets is that I didn’t start seriously on this project 20 years earlier. And so far, he says, he’s been able to do a pretty good job of running down those diverse depots. “There have been a couple of wild-goose chases and a couple of things I’m still trying to pin down conclusively,” Cloud says. “A good example is the alleged Fort Smith and Western [Railway] station in Okemah. There are a couple of rail-fan-oriented websites that insist part of a feed store down there is the remains of that old station. But the county historical society there, the chamber of commerce there, local residents there, tell me no, it’s gone.